Description: golfb-50cm - Floating spheres have a better use than being a part of architectural fountains, and your pool fountain. 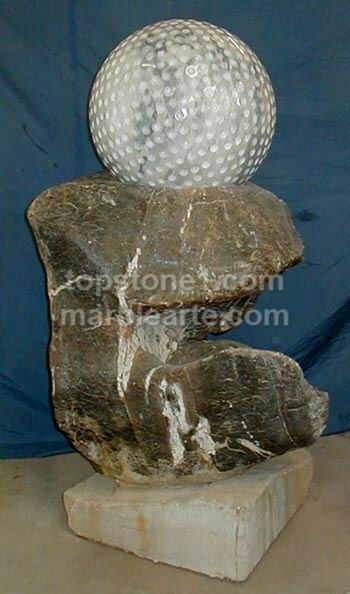 As a floating stone ball fountain, it features best at fountain landscaping. They can be set as outdoor water features as well as quaint garden fountains designs with an extract of sports fountains like a futbol fountain teamed with your usual ball water fountain feature like a spinning ball fountain for best effect. All of these parts can be found at fountains shopping center.